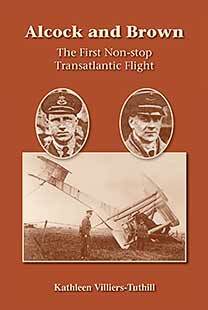 Captain John Alcock and Lieutenant Arthur Whitten Brown’s non-stop flight across the Atlantic is a story of great heroism, courage and endeavour. The unexpected arrival of their Vickers Vimy plane at the Marconi’s Wireless Station, in Derrygimla, Clifden, on Sunday 14th June 1919, created tremendous excitement in the locality and made front-page news throughout the world. The booklet is a pocket-sized illustrated history of the Alcock and Brown flight, giving details of the flight, background on the airmen and on the landing site, the Marconi Wireless Station.